Lori Heise reviews the empirical evidence of what works in low- and middle-income countries to prevent violence against women by their husbands and other male partners. 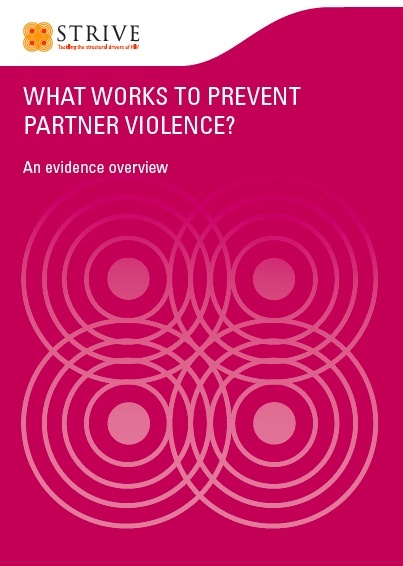 Heise summarises the evidence that links each factor with the risk of partner violence as well as the effectiveness of prevention programmes. The report was commissioned by the Policy Division of the UK Department for International Development (DFID) to inform programming on violence against women, and published by STRIVE in December 2011.